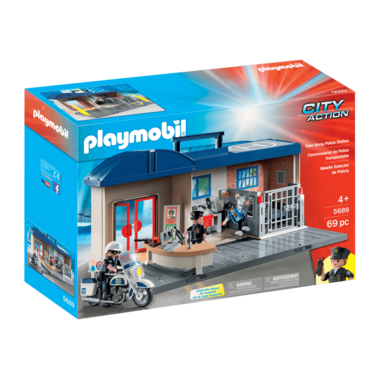 Protect the town against thieves and criminals with the PLAYMOBIL Take Along Police Station. 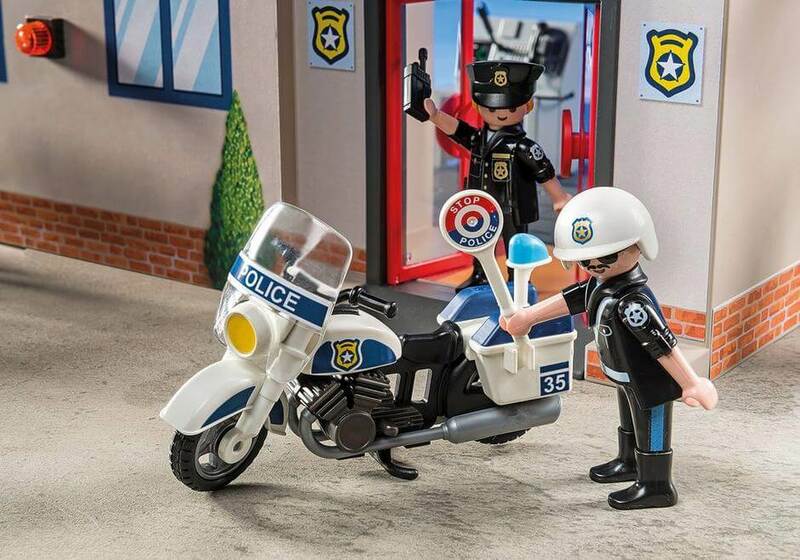 Monitor the situation from the headquarters, answering emergency calls and dispatching police officers. Race to the rescue and track down criminals on the speedy motorcycle. 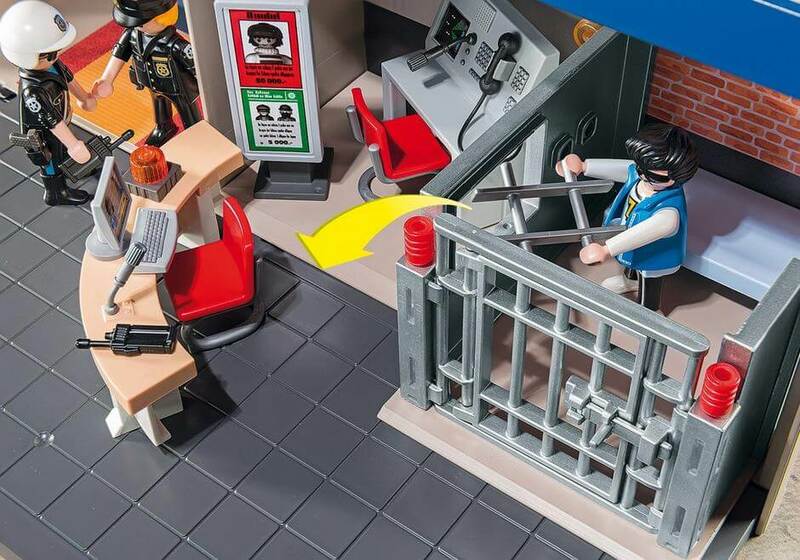 Once captured, lock the prisoners away in the station’s jail cell. But beware! Some will try to escape through the breakaway window. 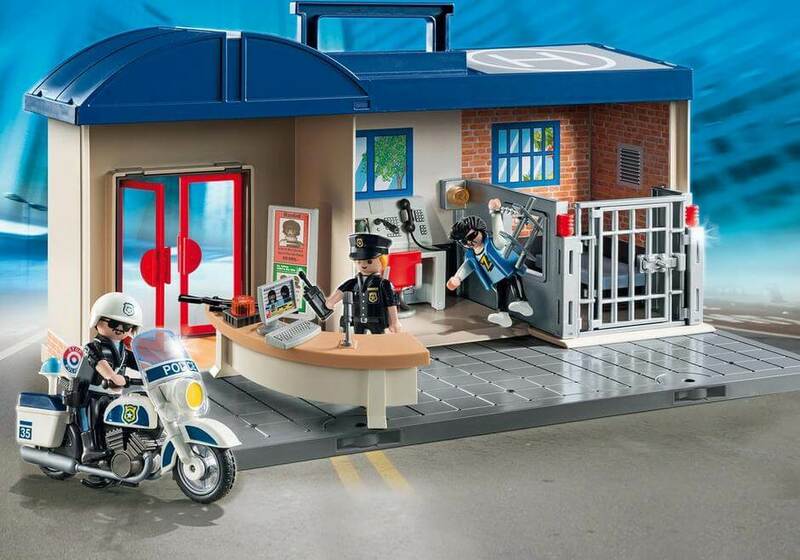 Let your imagination play! 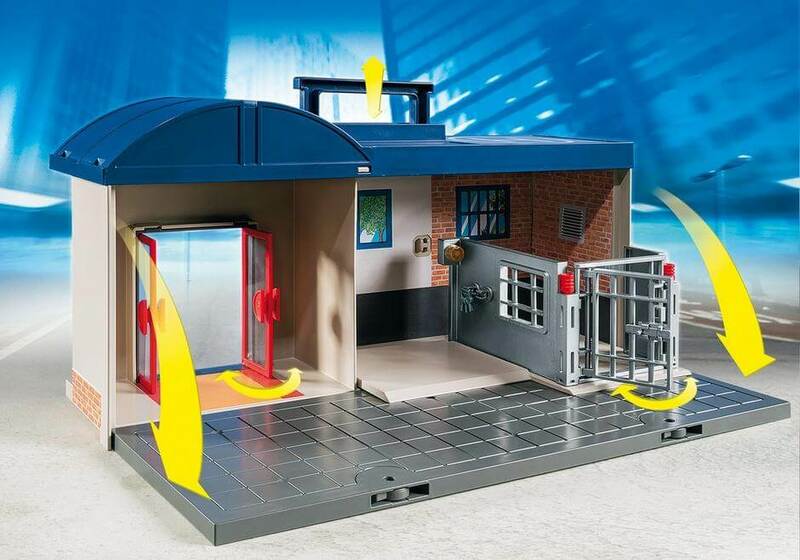 Once playtime is over, simply store the pieces inside, fold up the floor, and grab the carrying handle to take the police station with you wherever you go. 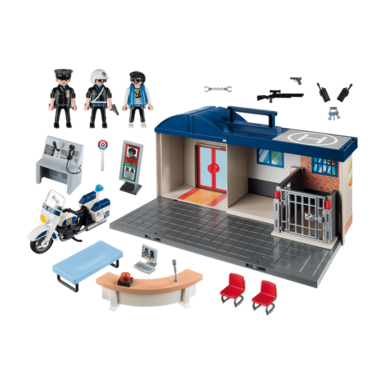 Set includes three figures, police station, lockable jail cell, motorcycle, station control board, computer, phone, walkie talkie, handcuffs, and additional accessories.